This entry was posted on Saturday, March 9th, 2013 at 4:09 pm	and is filed under happiness, health, memshot, productivity, quantified self, spanish. You can follow any responses to this entry through the RSS 2.0 feed. You can leave a response, or trackback from your own site. Interesting, How does this compare to Anki? I just learned of SRS and have been starting to use Anki. Would this be better? Thanks. 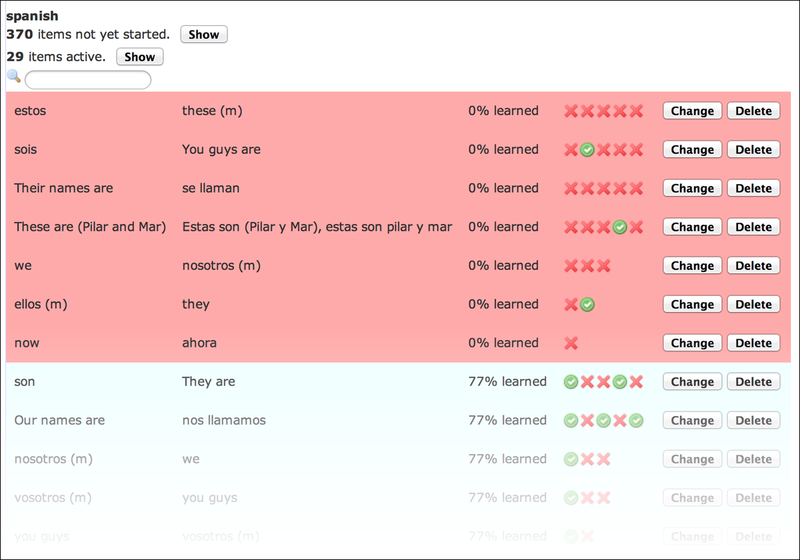 Hi Jason – MemShot is an SRS just like Anki but has a few different features – for e.g. 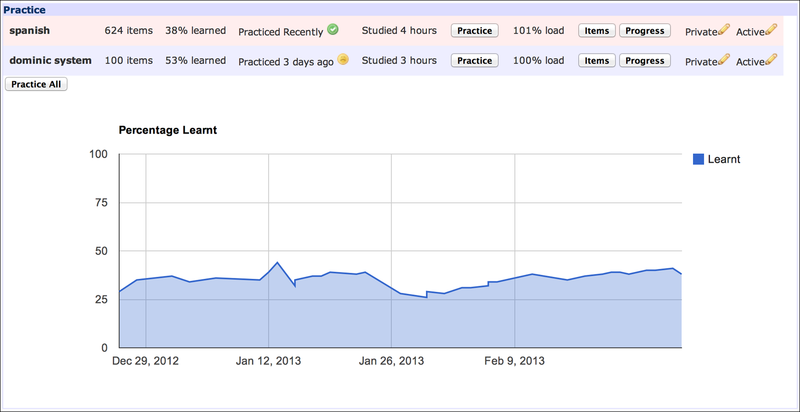 MemShot sends practice reminders and progress reports to help keep you motivated. MemShot is quite new compared to Anki and is actively being developed – many new features are in the pipeline. e.g. achievement badges, mobile versions, different study games. MemShot is free so feel free to import your Anki decks and give MemShot a try – see which SRS you like best. If you do try it out and have thoughts or feedback – don’t hesitate to get in touch.